Just 19 players are still in with a chance of bagging the £33,930 first prize on offer in the GUKPT Edinburgh Main Event with James Mitchell leading the way. The former Irish Open champion closed the penultimate day at the Maybury Casino with 560,000 giving him a decent lead over closest rivals Richard Clyde (499,000) and Usman Ulhaq (488,500). 83 players started on Saturday lunchtime and after nine levels of action they had been whittled down to just 19. Among that number are defending champion Andrew Teng (94,000) and long-time chip leader Colin Wu (171,500). 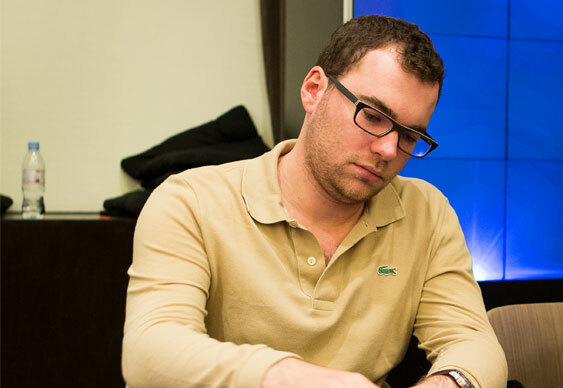 Alastair Patrick was the unfortunate bubble boy, departing just before the close in 21st place after losing a flip with pocket 9s against Martin Devne's A10. The action resumes at noon. Follow the final day via the GUKPT Live Stream from 12.25pm.